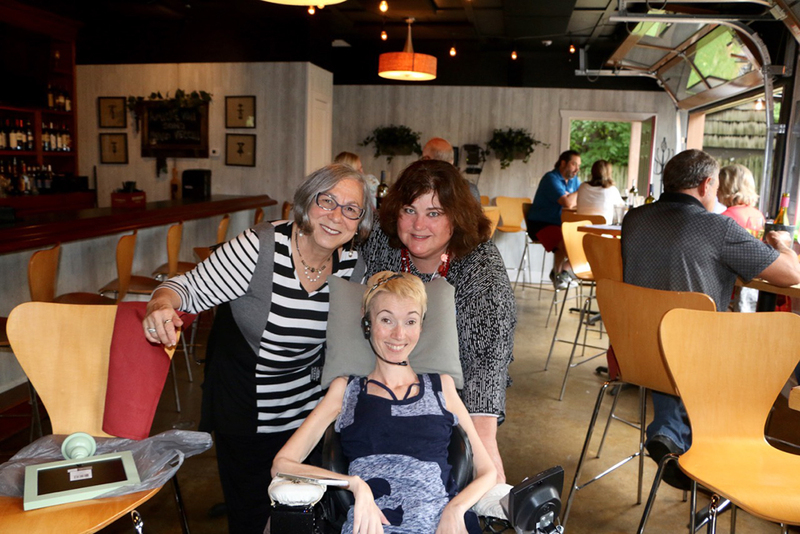 “Grateful” is a 17-minute documentary that tells the story of Jenni Berebitsky, who is battling ALS. She was diagnosed March 2009 and was given 18 to 24 months to live. The film explores her passion for living in the face of insurmountable odds. The film was screened in July at the Indy Shorts International Film Festival Presented by Heartland International Film Festival. The documentary won the Audience Choice Award presented by Indiana Spotlight. “That’s the most prestigious award because it tells the film industry that our film was chosen by the audience,” said Executive Producer/Producer Amy Pauszek, whose Where’s Amy photo column appears in Current Publishing Inc. The film was screened at the Sept. 27-29 Circle City Film Festival. “Grateful” also will be shown in the Indy Shorts Winners Program No. 1 at the Oct. 11-21 Heartland International Film Festival. Pauszek, a Geist resident, plans to submit the film in additional film festivals. The “Grateful” screenings are at noon Oct.14 at AMC Castleton Square 14; 7:30 p.m. Oct. 1 at AMC Showplace Traders Point 12; 5:15 p.m. Oct. 19 at The Toby at Newfields at Indianapolis Museum of Art (special book signing of Jenni Berebitsky and Joyce Kleinman’s book “ALS Saved My Life Until It Didn’t” immediately after screening); and 5:15 p.m. Oct. 20 at DeBoest Lecture Hall at Newfields. To purchase tickets to see “Grateful” during the Heartland International Film Festival, visit heartlandfilm.org.